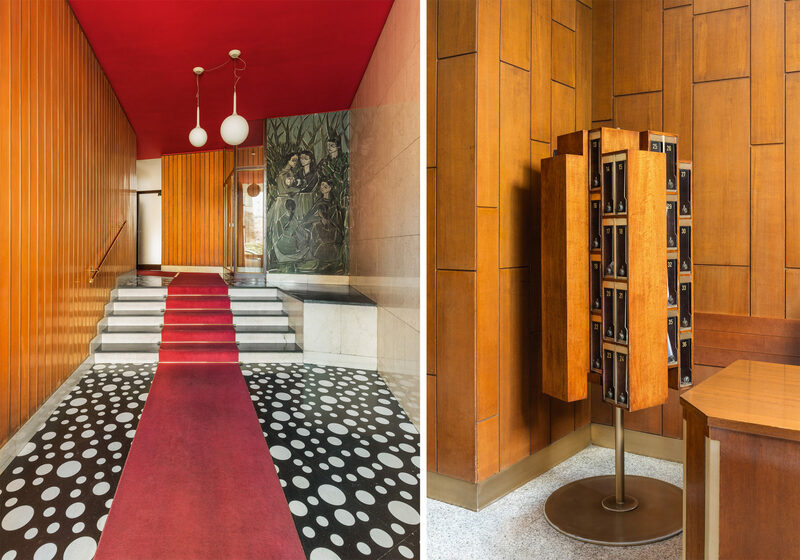 For his new book, Entryways of Milan (Taschen), the Berlin-based designer and art director Karl Kolbitz tapped three photographers—Matthew Billings, Delfino Sisto Legnani, and Paola Pansini—to join him in capturing, often guerrilla-style, several of Milan’s most captivating inner sanctums. 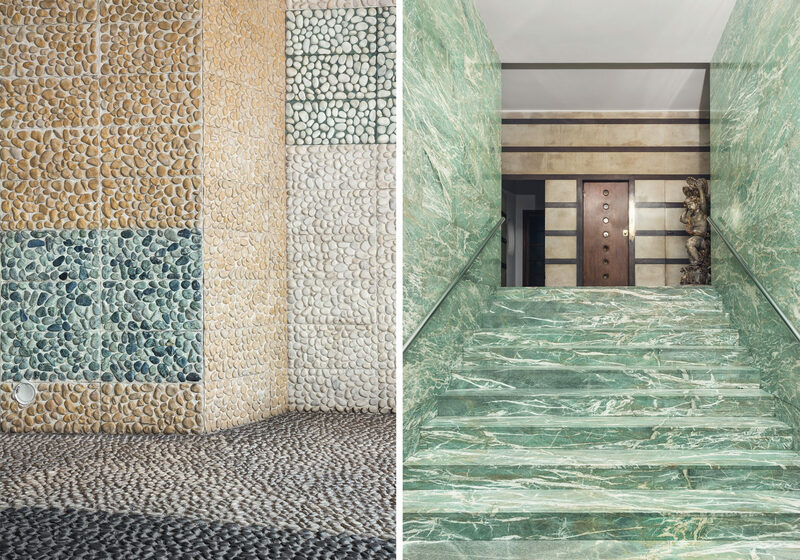 Composed of a carefully selected collection of 144 elaborate front halls, the book introduces a rarely seen side of the Italian city. Here, Kolbitz speaks to Surface about the undertaking. I’ve always enjoyed walking the streets in Milan, looking at the houses, the door handles, the details. So much there is designed thoughtfully, and is very different from my hometown of Berlin. 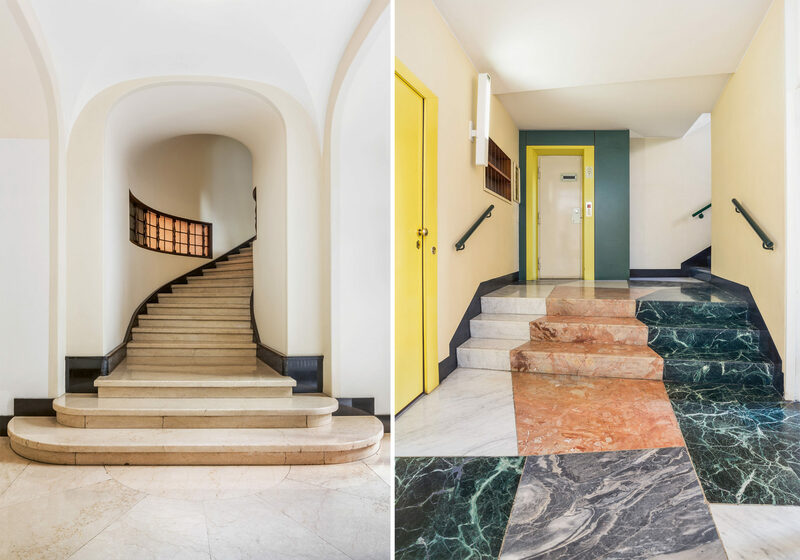 Over the years, I’ve become friends with many Milanese architects, and it once came up in conversation with them that the city’s entryways haven’t really been explored. This project stems from a walk I took with a few people in the middle of the night, all of us a little bit drunk. We were all peeking through the doors’ windows. After that, I decided to turn this into a journey, and picked up a photographer friend of mine, Matthew Billings. We went back to Milan and he started shooting. We were later joined by two Milan-based photographers, Delfino Sisto Legnani and Paola Pansini. This project was learning by doing. There was a lot of walking around involved. Sometimes the doors were open, sometimes we photographed through the windows, sometimes we had to sneak in. The Milanese are very private, and they don’t want to reveal anything. This was the very interesting part about this project: It’s at the intersection of public and private. Some concierges, many of whom have been working in these buildings for decades, didn’t even allow me to take pictures from the street. I was like, “No, no, no, this is absolutely ridiculous! This is a public space!” If we had waited to get the approval for access to each building the official way, this project would never have happened. It was mostly a guerrilla affair. The photographers were really good sports and up for the challenge. When I started the project, I was looking primarily at buildings from the late 19th century and the turn of the 20th century. Quickly, though, it became very clear that the most interesting period was 1920 to the 1970s. The early 1900s designs all look grand, but they don’t differ much from what was made in Vienna or Prague or even Paris at the time. Architecture in Milan only became special from the 1920s onward, I think. I wanted to reflect the city as a personal experience. I didn’t want to show only the grand and beautiful. I also wanted to show the odd and eccentric. At moments, I was so surprised. I was like, “Wow, people actually live here! I don’t know if I’d want to see this every day, but this is great!” To me, this project is really about diversity of design. 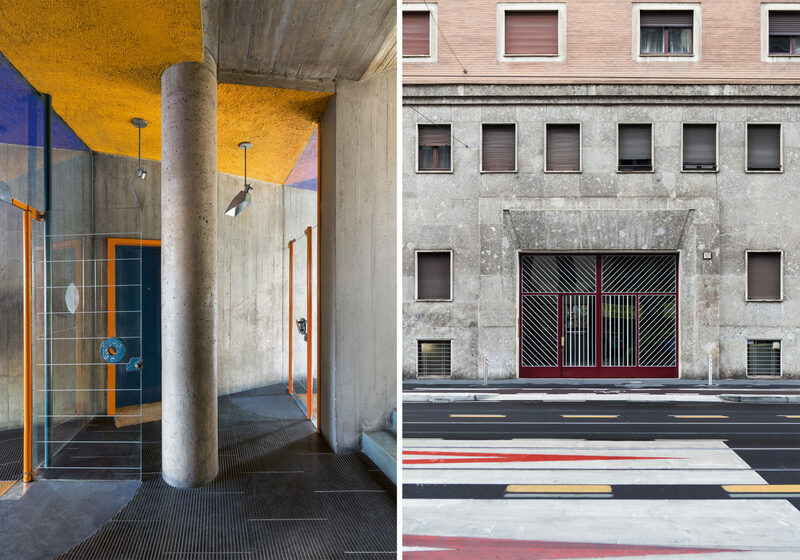 I didn’t wanted to make another book on “Milan’s ten most famous architects” or “Milan’s ten most important buildings.” I wanted to try to show real representations of Milan and the experience of walking around the city. That’s why there’s this combination of “high” architecture and non-pedigreed architecture. We had to research who built the majority of these buildings and when. There were no publications on the majority of them. In addition to the entryways we published, we shot hundreds more. I think I have enough material for a second book. We shot relentlessly.